Google Pixel phones: Even after all the leaks and rumors, there were few surprises, but the theme was Google Assistant everywhere. 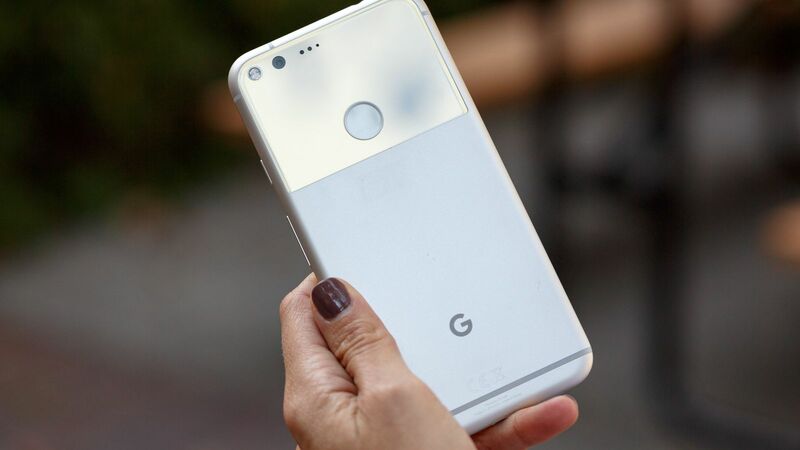 After a long felt wait since the first rumors about the Google’s pixels event started cropping up, we can finally lay at least some of them to rest. The event took place in San Francisco and lasted for 2 hours, starting at 9:30 pm IST (9 am PT) on Tuesday. It all started with a cute video by the characters of HBO’s “Silicon Valley” and was followed by a summary by the CEO Sundar Pichai of computing since the first PC. “We’re moving from a mobile first to an AI first world, ” the CEO said indicating towards the Google Assistant which was announced at the Google I/O conference in May with its voice queries, contextually relevant information and so on – much like the most current version of Apple’s Siri. Let’s see what all new has been launched by the Google in its keynote event on October 4. Google Pixel phones camera, which Google claims is the best ever. It incorporates a lot more computational photography than most, such as burst-shooting best-shot chooser; HDR+, which works in any light and has “zero” shutter lag and fast processing; and an above average digital stabilization. Google Duo, the company’s recently announced video calling app. A long battery life: up to 7 hours, on a turbocharging of 15 minutes. Android 7, Nougat. It has a built-in Google support chatting. There are two size variants: 5 inches and 5.5 inches. They have the same hardware specs, though. The phones are available for pre-order in the US, Australia, and the UK at prices $649, AU$1,079 and £599 respectively. A fabric cover is given for looks and comfort. It’s 30% lighter than most headsets, comes in slate, snow, and crimson colors and can fit over eyeglasses. The control has built-in gyros which is sensitive enough for drawing. It fits into the phone slot when not in use so that you don’t lose it. New Daydream apps include a “Fantastic Beasts and Where to Find Them” tie-in wand game; Star Chart, an educational astronomy app; a first-person space shooter game; VR movies from major streaming sites; and more. Google Photos, Google Play Movies, Street View, Maps, and YouTube will have immersive Daydream support. The device will be available from November. 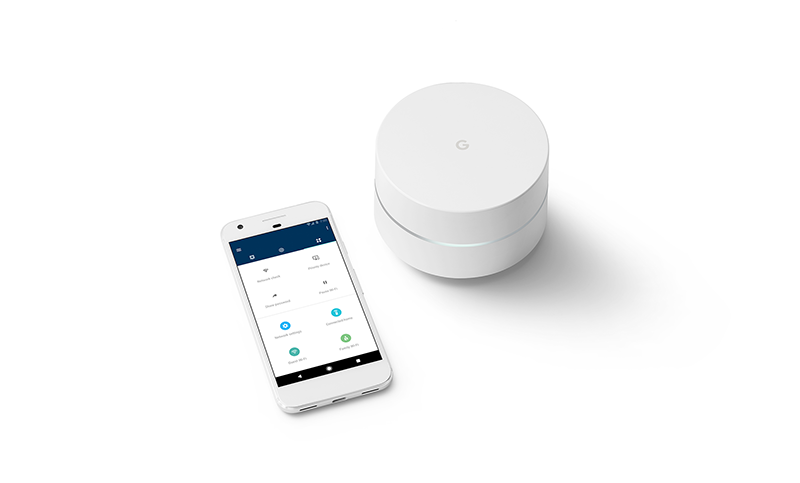 Unlike any conventional Wi-Fi router that works as a centralized router to spread signal throughout your whole home, Google Wi-Fi comes as a connected Wi-Fi system designed to give you a fast signal in every room, on every device. It can simply add Wi-Fi points at every corner to spread a strong network signal to your every room. There is a provided control app that lets you maintain privacy through features like where you can set the bandwidth of your Wi-Fi to enjoy an uninterrupted connection; you can easily control cloud management and security features such as wireless encryption, verified boot, and auto updates to keep your network safe and secure. The pre-orders will start in the US from November at a price of $129 for a single pack and $300 for a three pack. The Chromecast ultra comes as the upgrade to its last year’s launch Chromecast 2. Google has added 4K UHD support with HDR and Dolby Vision to its Chromecast Ultra to catch up with others in the crowded video streamer space. It now comes with an Ethernet port and is faster than before with better Wi-Fi support. It is available in the US, UK, and Australia at the respective prices: $69, £69, and AU$99. Google’s virtual assistant competitor for Amazon Echo was first revealed at the Google I/O in May 2016. Google Home incorporates all the features of Google Assistant and comes along with smart home controls. It also features an optimized microphone for better voice recognition. Google Assistant features include intelligent voice-activated music streaming playback; get answers to lots of questions; get traffic info; translations; it summarizes the information you need for your day; and more. Also, the device is smarter about using the multiple Home devices. The partnerships with IFTTT, Samsung, Philips and Nest will allow Google Home to control home electronics. It can play and control media on TVs and home audio systems using Google Cast (Netflix will support voice control). The pre-orders are only available for the US right now, priced at $130.